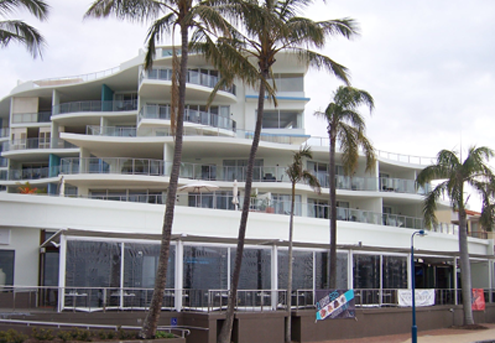 The Bayswater Hotel opened in 2007 in conjunction with the new Peppers Pier Resort. It is the newest and most prestigious hotel on the Fraser Coast boasting an exceptional bistro and bar as well as an outstanding alfresco balcony that has unobstructed views of the bay, the famous Urangan Pier and World Heritage Listed Fraser Island. This hotel has become the hub of Hervey Bay's thriving social scene. Unique live entertainment, quality food, a safe & relaxed environment and the gorgeous views provide Bayswater customers with a truly unique hotel experience. The hotel specialises in functions, conferences and weddings with the ability to provide many diverse themes and options that will cater for any imagination, combined with a capacity of over 300 people....The Bayswater Hotel is the premier hospitality venue in the region. 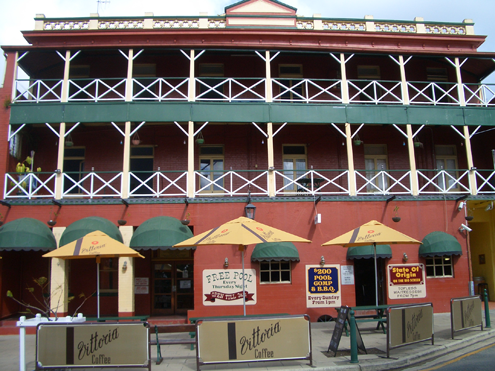 Built in 1878 this magnificent hotel is one of only four 3-storey buildings in Maryborough. Majestically overlooking the famous Mary River and the new Mary River Parklands; the Criterion Hotel is situated in historic Wharf Street in the prestigious Portside Precinct. Surrounded by many historic and iconic buildings including the Military Museum, Art Gallery, City Courthouse, Customs House, the Port Residence and the Mary River Marina. The hotel consists of a newly refurbished bar, courtyard and beer garden with a large outdoor smoking area. There are 18 accommodation rooms (currently closed for refurbishment) with some of the best views in Maryborough. The hotel also houses the only purpose built nightclub in town. Spread over two floors are three bars, pool tables, great dance floor and stage, as well as a nonstop DJ station with the latest sound and lighting systems; the club has a capacity of over 500 people and it is renowned as the leading entertainment venue in Maryborough and surrounding areas. The Criterion Nightclub has recently completed a massive refurbishment with a new and fresh concept, integrating multi entertainment zones that cater for various demographics. This exciting redevelopment has attracted interests from across the region. The Criterion Hotel has definitely set a new benchmark in entertainment standards on the Fraser Coast, and it certainly lives up to its slogan "Your Entertainment Destination"! 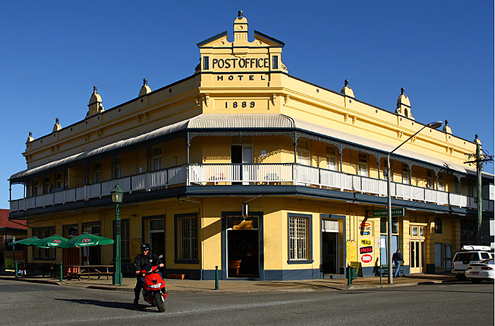 The Post Office Hotel is situated on a busy intersection in the Maryborough CBD, located directly opposite the city Post Office. The hotel is the entry point to the historic Wharf Street in the prestigious Portside Precinct. The Post Office Hotel was built in 1889 and has been restored to glorious condition. It is considered to be a significant property by the local council. The hotel has 20 accommodation rooms all in operation; many have undergone refurbishment over the past two years. The bar is one of the most popular in Maryborough with pokies, keno, continuous live sports on MEGA plasma screens, espresso coffee and a dedicated 80 seater Poker Room which hosts Texas Hold'em Poker games every night of the week. The hotel is renowned for its fantastic home cooked counter meals and most importantly the friendliest service in town! There have been extensive improvements to the hotel over the past years under the ownership of Clayton Enterprises, and there are exciting renovation plans currently in the pipeline for 2010. The Post Office Hotel is fondly known as the P.O and it is arguably the "Best Pub in Town! ".